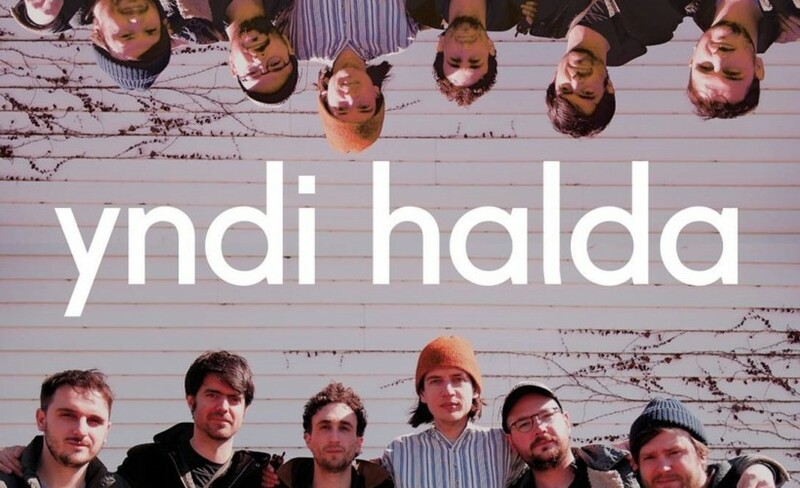 yndi halda are the rising stars widely being held up as the next big thing. See them play an acoustic set at Omeara in London on Saturday 22nd of September 2018. Now is your chance to book your yndi halda tickets with Gigantic, we are very excited and as demand grows it makes sense to act fast and get yours before they are all taken. Gigantic makes selecting your favourite tickets and placing your order easy by enabling access to our site 24/7 using your smartphone, tablet or computer whilst relaxing at home or even busy and on the go. yndi halda formed in South-East Kent, UK as schoolmates, and released their debut record Enjoy Eternal Bliss in 2007 through Big Scary Monsters (UK & Europe), Burnt Toast Vinyl (USA) and XTAL Records (Japan). Though self-recorded (in a countryside barn in the Kentish countryside), the record took yndi halda across the world, seeing them tour across the UK, Europe, Asia and the USA, performing at prestigious venues and festivals across many of these stops. After a long writing and recording period, 2016 saw the long-awaited release of latest full-length Under Summer. The album - at once subtle and joyous, hitting huge emotional peaks around moments of serene gentleness and heartbreaking sadness - was received as the right follow-up to Enjoy Eternal Bliss. A musical development from the band’s debut LP, the new album evidences a progression in songwriting, delivery and expression. It exhibits new scope and wider interests, full of closely-crafted arrangement, multi-part vocal harmonies and new compositional focuses. Shortly after Under Summer, yndi halda released a companion piece titled A Sun-Coloured Shaker, made up of material thematically linked to the album, and toured the USA in support. As ever, we only have limited stocks of yndi halda concert tickets being made available by the event organisers so you will have to ensure you book as soon as they are released or else it is highly likely you will miss out. With more essential gig tickets being added everyday plus an excellent customer services team on hand to help with every enquiry, award winning ticket vendor Gigantic should always be your first call whenever you are booking for your big night out.